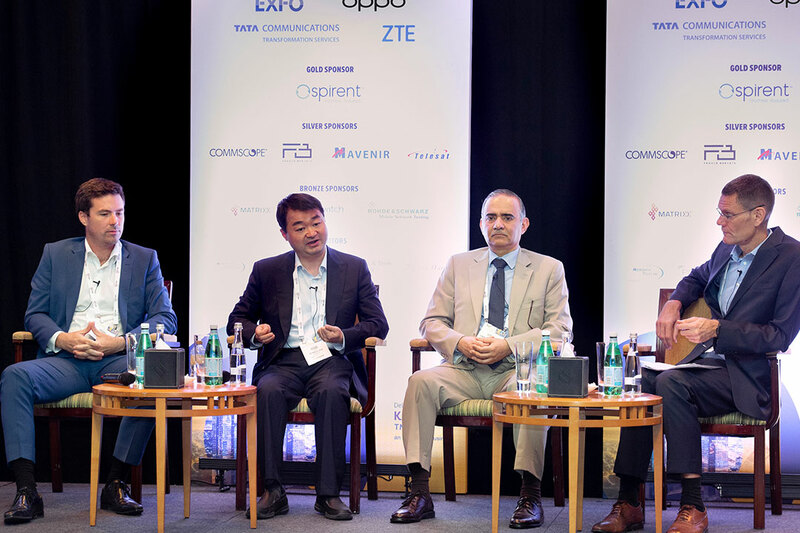 Dubai, United Arab Emirates, April 9, 2019– As a pioneer in 5G technology, OPPO connected with regional telecom service providers, regulators, and global ICT solution providers to accelerate the commercialization of 5G enabled smartphones at the 5G MENA 2019 summit held in Dubai from April 7-9, 2019. To further its commitment of developing the 5G ecosystem, the leading global smartphone brand also announced collaboration with Etisalat to test the compatibility of OPPO 5G smartphones with Etisalat’s 5G network to ensure that user experience reaches the level for commercial use. This is the first 5G smartphone test between carrier and smartphone in GCC region. 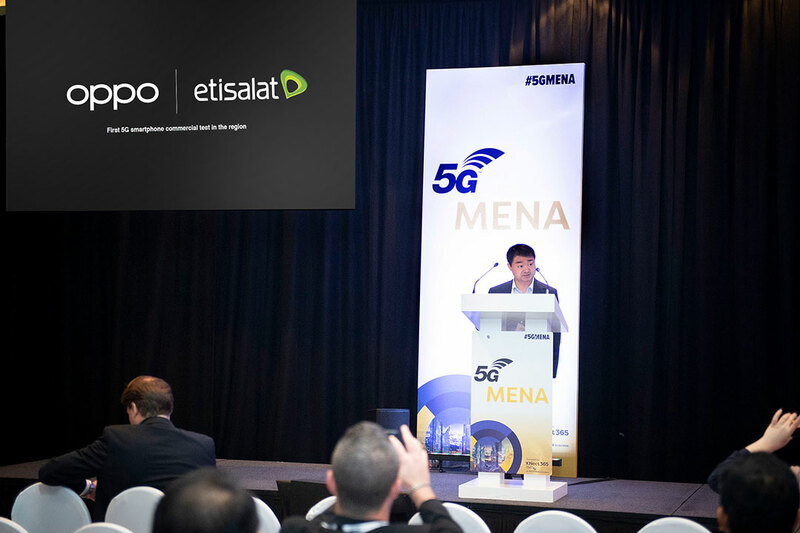 At this year’s 5G MENA summit, Zhang Zhi, 5G Expert from OPPO presented the company’s vision of being a 5G era pioneer. This included a keynote speech on 9th April as well as a panel discussion with representatives from Etisalat and Telecommunications Regulatory Authority. Khaled Elkhouly, Chief Consumer Officer, Etisalat, said: “We at Etisalat are excited to work closely with OPPO to test the compatibility of its 5G smartphones with our 5G network, ensuring that user experience reaches the level for commercial use. It is part of our commitment to build partnerships with world leading smartphone manufacturers and technology leaders, and enable our customers to enjoy the best-in-class performance and our 5G network that boasts of ultra-high speeds and low latency services. “Our management’s strategy to focus on digital innovation and to ‘Drive the digital future to empower societies’ have led to investments in superior and state-of-the-art technology solutions on the network. With continuous investments in technology and innovation on the network, Etisalat’s infrastructure can enable 5G connectivity today for all fixed and mobile devices expected to be launched in the first half of this year.” Added by him. At the summit, Zhang Zhi highlighted OPPO’s belief that 5G will form the essential foundation for our future smart world. He added that 5G will enable realization of the Internet of Everything vision, and emphasize experience over everything else. 5G will further empower the development of “cognitive intelligence” and accelerate the evolution of the Artificial Intelligence of Things, or AIoT. OPPO remains committed to be one of the key contributors to the 5G ecosystem in the region and is helping shape the next generation of connectivity through contributions in research, software and hardware development, deep consumer insight and a robust ecosystem of strong industry partners. The company recently launched its “5G Landing Project” with several operator partners to accelerate the commercialization of 5G products and services worldwide. Last month, OPPO also announced that its first 5G smartphone has successfully passed 5G CE tests conducted by Sporton International Inc., making it compliant with EU requirements in areas such as wireless, electromagnetic compatibility, health and safety. OPPO formed a 5G standardization team as early as 2015 to focus on the research and development of 5G standards. To date, OPPO has obtained more than 1,000 global patents related to 5G technology, and partnered with industry heavyweights such as chipmaker Qualcomm on their ‘5G Pioneer’ initiative. The company is consistently ranked among the top five smartphone brands in the world and in January 2019 opened its second regional hub within the UAE, making Dubai its new center for operations in the Middle East & Africa. OPPO is a leading global smartphone brand, dedicated to providing products infused with art and innovative technology. Based on the brand elements of young, trend-setting and beauty, OPPO brings consumers delighted experience of digital life. In 2017, OPPO was ranked as the number 4 smartphone brand globally, according to IDC. Today OPPO’s business covers 40 countries and regions, and has 6 research centers worldwide, providing excellent smartphone photography experience to more and more young people around the world. In 2015, OPPO entered the Egyptian market. In 2016, OPPO set up its Middle East & Africa Sales Center in Cairo. The markets OPPO has entered in the Middle East and Africa include: Egypt, Algeria, Tunisia, Morocco, the UAE, Saudi Arabia, Oman, Kenya and Nigeria. OPPO set up its factory in Algeria in 2017, which made OPPO the first Chinese brand setting up factory in North Africa. Now, the factory goes into production. Based on the insights of local consumers in each country, OPPO MEA has started the progress of localization. And the localization includes all the perspectives towards each market – product localization, to further meet the core needs of users; marketing localization, to better communicate with local young customers; and team localization, to know our local consumers further and provide better service to the consumers. Within the last year, OPPO has started to adjust its product line in the Middle East region specifically. This has included the launch of its flagship OPPO Find X smartphone and the introduction of the OPPO R Series. OPPO will continue to evolve its local product line to offer more premium series to young consumers in the region.